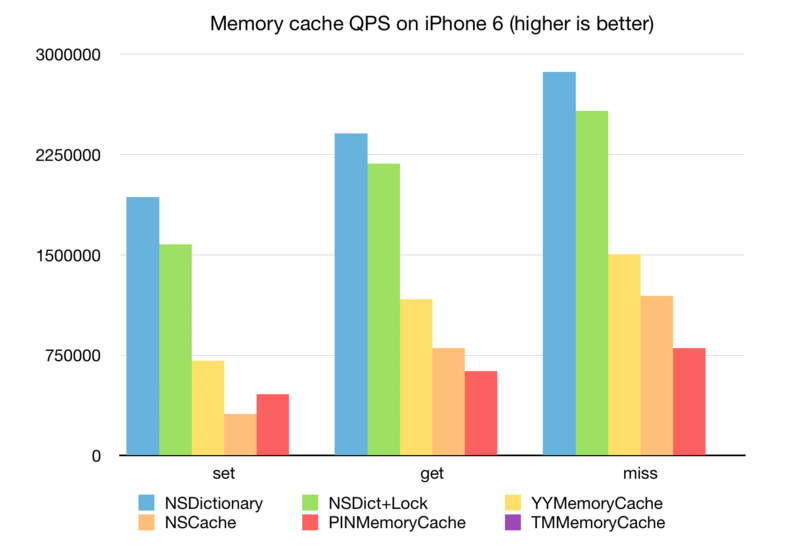 High performance cache framework for iOS. You may download and compile the latest version of sqlite and ignore the libsqlite3.dylib in iOS system to get higher performance. 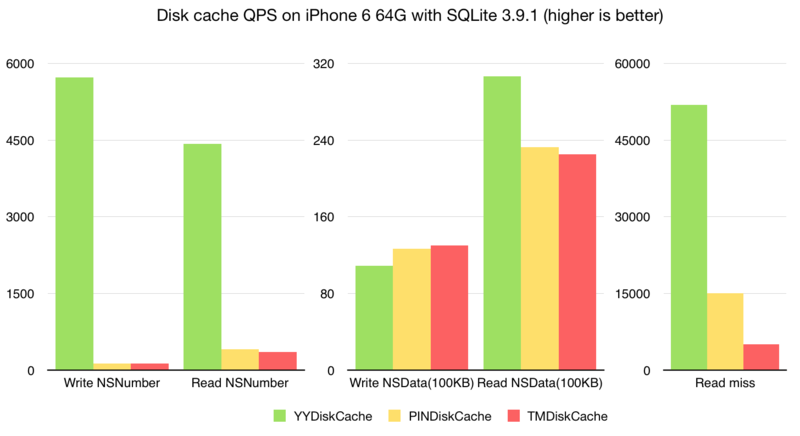 See Benchmark/CacheBenchmark.xcodeproj for more benchmark case. LRU: Objects can be evicted with least-recently-used algorithm. Limitation: Cache limitation can be controlled with count, cost, age and free space. Compatibility: The API is similar to NSCache, all methods are thread-safe. Release Control: Objects can be released synchronously/asynchronously on main thread or background thread. Automatically Clear: It can be configured to automatically evict objects when receive memory warning or app enter background. Customization: It supports custom archive and unarchive method to store object which does not adopt NSCoding. Add pod 'YYCache' to your Podfile. Add github "ibireme/YYCache" to your Cartfile. Run carthage update --platform ios and add the framework to your project. Download all the files in the YYCache subdirectory. Full API documentation is available on CocoaDocs. You can also install documentation locally using appledoc. This library requires iOS 6.0+ and Xcode 8.0+. A generic caching library for Swift. Cache depends on Foundation.